An Artesia man was arrested Tuesday evening after allegedly threatening his girlfriend and locking her inside a shed. 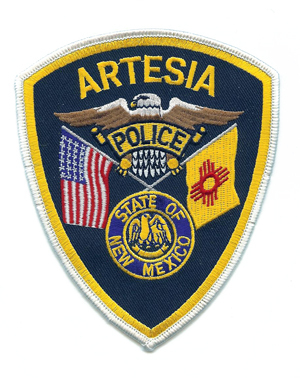 Artesia Police Department officers were dispatched at 6:39 p.m. Tuesday to the 300 block of West Gage Avenue in reference to a disturbance. The caller informed police her boyfriend, identified as Lorenzo Rodriguez, 69, of Artesia, had locked her in a structure at the rear of the residence. Upon arrival, police located a shed that had been converted into living quarters; its exterior door was barred from the outside with a small metal pipe. After removing the pipe, officers found another small room, the door of which had been padlocked. There, they made verbal contact with the female victim. Police escorted Rodriguez outside, and he proceeded to remove the padlock with a key. According to the police report, the victim informed officers the shed was her living area and that Rodriguez locked her inside “often;” she did not provide an exact number of incidents. She proceeded to inform police that on this occasion, Rodriguez had been armed with a knife, which he pointed at her. The report states the victim also told police Rodriguez made the statement he would “treat her like his dog” if she tried to get out. Police found a pocketknife matching her description on Rodriguez’s person. Rodriguez was subsequently arrested on charges of false imprisonment and aggravated assault with a deadly weapon.